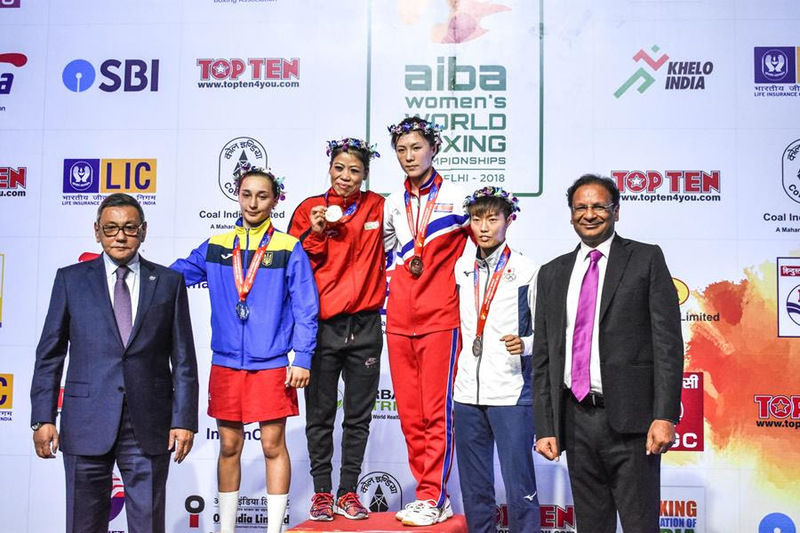 The Indira Gandhi Stadium Sports complex was taken over by world-class boxing for one last Session of the 2018 AIBA Women’s World Boxing Championships on Saturday, with ten new World Champions being crowned from 6 countries. After 267 bouts, 21 nations received at least one medal of the most prestigious competition in women’s boxing, proving the good health and the expansion of the women’s noble art. It was a mighty night for China stepping on top of the podium 4 times and Chinese Taipei reaching the gold twice, while India, DPR Korea, Germany, and Ireland took home one gold medal each. Round 1: Delhi crowns ten new AIBA World Champions! Whether it was the first or the sixth time they took home a gold from the AIBA Women’s World Championships, all ten Champions crowned today made history by stepping on the higher place of the podium in one of the most disputed World Championships ever, getting their names inked in the respected list of the most renowned tournament in women’s boxing. No doubt MC Mary Kom is one of the biggest names of the noble art after seeing her hand raised in all international major boxing events and inspiring millions of young people all around the world in and out the ring. But the Light Fly (48 kg) Indian superstar is not done yet as she showed today winning her sixth World Championships title in incredible fashion. With this victory, Kom has finally tied with Cuba’s Legend Felix Savon as the boxer with more AIBA World titles. Xiaoli Yang has been on the spotlight for China many times already with her impressive record including winning gold in Jeju 2014 and Astana 2016 World Championships in the Light Heavy (81 kg) and Saturday’s action saw her winning another back-to-back gold medal. The Chinese boxer defeated by unanimous decision Turkish Sennur Demir in the Heavy (81+ kg) category after three breathtaking rounds in the last bout of this impressive tenth edition of the AIBA Women’s World Championships.